You look great, but I did become relieved when I saw you wore tights hehe hugh jackman = perfection! Hugh Jackman is actually my husband, he's just unaware of it at this time. That playsuit is soo gorgeous. 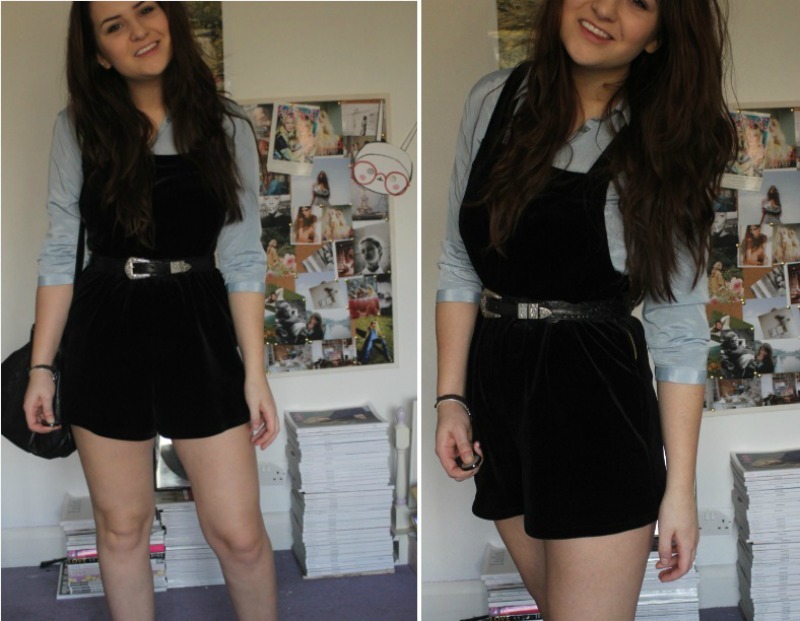 this velvet playsuit is so cute! and i adoooore the vintage belt. 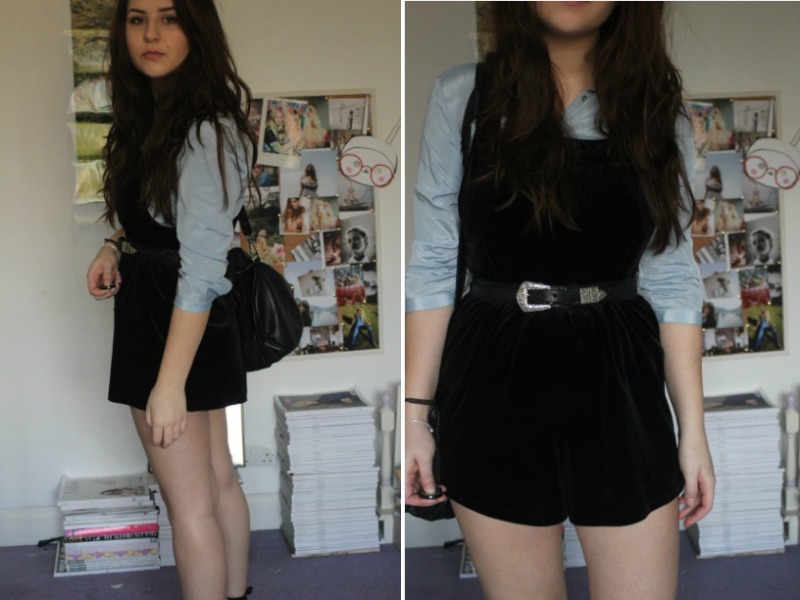 I love this whole outfit, the playsuit is so cute! Les Mis was absolutely fantastic as well, I really want to see the stage version too! 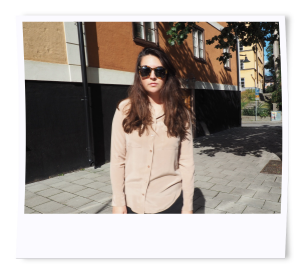 Love the playsuit, fab look!